So as our gift to you for booking your holiday party before the rush this year, Tuscany in Oak Brook is offering 10 percent off your party when you reserve before Nov. 1. 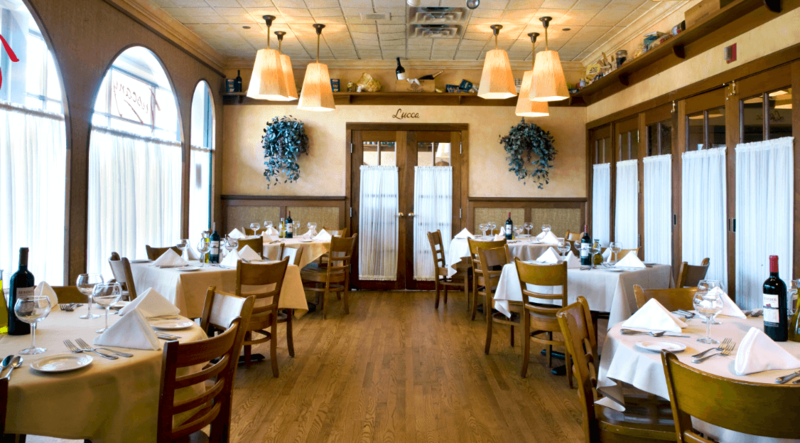 Located in west suburban Oak Brook, Tuscany is the perfect destination for discovering the setting of a Tuscan village. Besides one-of-a-kind pasta dishes, we also offer fine steaks and fresh seafood prepared by our executive chef. Tuscany in Oak Brook offers three private dining rooms. Each room can accommodate up to 38 people or two rooms can be combined to fit groups up to 80. Our Private Dining Menu includes a cocktail party package, family style lunch options, chefs plated lunch, family style dinner options and a bar package. Pricing for our private dinner options range from $20 to $47 per person. View our entire private dining guide by clicking here. Contact our private dining manager Jessica Foldy at 630.990.1993 for more information.